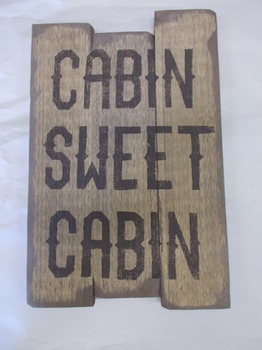 a cream distressed pine wood sign with brown letters. Made in the USA approx. measurements 12x17. Three boards conjoined for a unique new style, aged and weathered for an old thyme finish.